This simple message is an expression of our brand and who we are. We appreciate that every couple dreams of their wedding day, but may need a helping hand making those dreams a reality. That’s where we step in – we dedicate ourselves to each and every unique love story, because every couple deserves their perfect day. Our vast experience as wedding planners and wedding stylists has positioned us as the industry leaders in Perth and Margaret River. We are the first choice for brides seeking the best wedding planning experience. 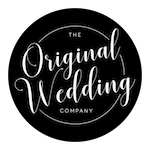 Since opening our doors in 2006, we have continued to strive for perfection – to bring new wedding design concepts to Western Australian brides and make life easier for our couples. 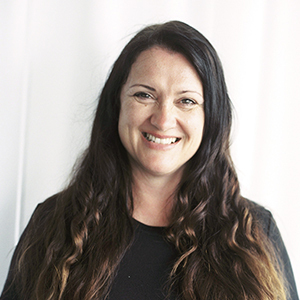 Our founder, Jenn Veza, was recognised as one of Western Australia’s leading business entrepreneurs under the age of 40 in the annual 40under40 Business Awards by Business News. Whether you know exactly what you want, or just don’t know where to start, we are here to meet you and take you on an exciting and exhilarating journey. Every wedding is unique and original, just like each bride and groom. That’s why we’ll always design an option to suit you and your wedding. However, just to help you along, we’ve created the packages below based on our experience of helping brides and grooms have an amazing wedding experience. As wedding planners, we plan the logistical and operational side of your wedding day – what, where and when. As wedding stylists we plan the look and feel of your wedding day. We are inspired by you and your love story. We design unique wedding ceremonies and receptions that reflect who you are and the experience you want to give to your guests. We take inspiration from you – the bride and groom. Each and every one of our weddings is unique and original, just like you. We specialise in creating custom-designed weddings; ensuring every wedding is planned and coordinated to perfection.